A month ago, 70 world leaders, 30,000 representatives of NGOs and delegations of 197 countries gathered in Marrakech. At what could easily be one of the key events of 2016, they agreed on the execution of the Paris Agreement to fight climate change. Even if this is just a tiny step towards a more sustainable future, it proves the world is moving forward and –you know what?– anyone can be part of that change. That’s the reason behind the New Economy and Social Innovation (NESI) Forum that is taking place in Málaga, Spain, next spring. Aware of the negative impacts of the current economic system on our society (climate change, poverty, inequality…), NESI Forum advocates for a New Economy, more sustainable, social, based on values and for the common good. From Degrowth to the Social, the Circular or the Blue economies, they are all showing this is not a fairy tale but a feasible option, so this world forum will be the opportunity for these movements to meet and strength collaboration. 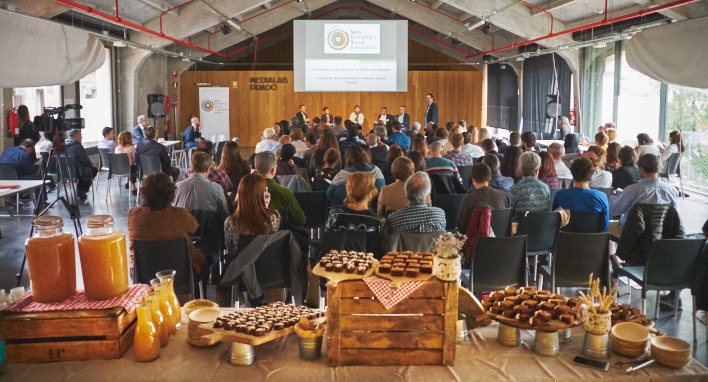 From 16th Sept 2016, the NESI Forum has been running events in Madrid, Barcelona, Brussels, London and Rio de Janeiro to put on the table ideas and proposals for a new economy. Since then, it has also run a campaign for people to participate in the co-creation of the first Manifesto for a New Economy, which is still open for contributions. The outcomes of all these months of work will be presented in Malaga, from 19th to 22nd of April 2017, where NESI will bring together key change-makers and opinion leaders to think, talk and lay the foundations of a new economy and design a roadmap to guide governments on this process of change. Amongst the experts that have already confirmed attendance: Gunter Pauli, President of ZERI Foundation (Zero Emission Research and Initiative) and creator of the Blue Economy; Christian Felber, founder of the Common Good International movement, and Fran Boait, Director of the British organization “Positive Money”, that defends a democratic monetary system. NESI Forum is supported by the Global Hub for the Common Good Foundation a think-tank with aims to boost a new social, economic and political model geared towards a common good.